Visited this trendy restaurant off Market street recently with a friend. It's tough to get a seat but if you do, consider yourself lucky! 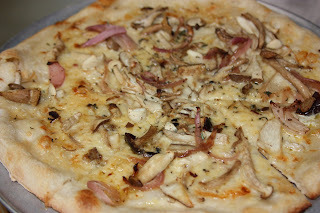 Market mushroom, gruyere, thyme and roasted onion pizza. Nice crust and great flavors. 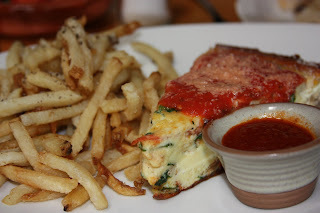 Heirloom tomato, goat cheese frittata with roasted tomato sauce.